Runners and walkers enjoy this flat, 3.1-mile route that starts and finishes beneath the shade of 100-year old oak trees and meanders through residential streets. 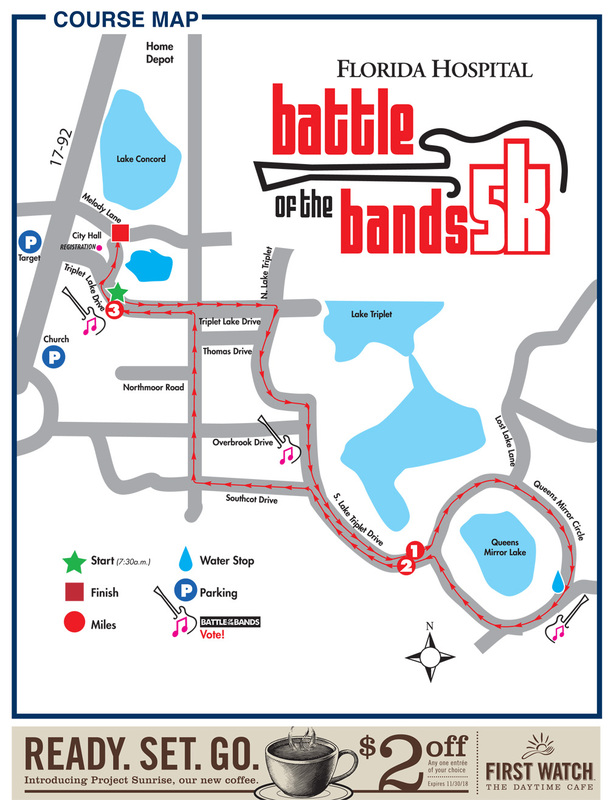 The Battle of the Bands features three on-course bands to keep your running rhythm rockin’! REMEMBER – Vote for your favorite band at the Track Shack tent! Use Facebook to Leave a Comment on Florida Hospital Battle of the Bands 5k - SOLD OUT - We'd love to hear from you!